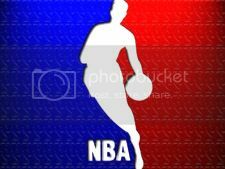 The tense war to determine ultimate superiority in the National Basketball Association entered its third year today, with no end to the bitter struggle yet in sight. The ‘playoffs,’ as they are referred to by NBA insiders, were largely expected to end after a one to two-month period of nailbiting action, unforgettable drama, and eternal reminders that Law & Order airs on TNT seven nights a week, four hours a night, but the hope of a quick resolution has withered away, into an endless quagmire of zone defense and flops. One recent matchup involving the favored Detroit Pistons took three weeks to complete — six days of which were devoted to the last minute of the fourth quarter. Recent examples of the seemingly unending conflict have included fast-paced shootouts up and down the West Coast, bruising hand-to-hand combat throughout the Midwest, and a particularly unfortunate disaster involving the New York Knicks and an under-15 travelling girls’ squad, in which guards Steve Francis and Stephon Marbury jump shot their entire team to death. Several well-known players have fallen victim to the protracted hostilities. LA Clippers center Chris Kaman and San Antonio Spurs guard Michael Finley were injured in ways no man should ever have to witness, let alone see in slow-motion five times on SportsCenter. Miami Heat star Shaquille O’Neal turned 50 during a recent series and deserted his team to seek his fortune in the French Foreign Legion. And in perhaps the most stunning development of all, Phoenix Suns forward Amare Stoudemire suffered a debilitating leg injury while running last month and is expected to be euthanized by the end of June. As the fighting has dragged on, NBA commissioner David Stern has taken the brunt of the impact publicly. A lightning rod for criticism by fans who expected a quick succession in leadership, Stern’s approval is measured at 24% by the most current public opinion polls. Adding insult to injury, past team generals such as Bill Walton and Hubie Brown have recently joined the ranks of those calling for the resignation of playoff mastermind and Stern loyalist Donald Rumsfeld, and urged an immediate ceasefire. “Throw it dowwwwwwn, big man!,” Walton added, as always, unnecessarily. The office of the commissioner responded by fining Mark Cuban, owner of the Dallas Mavericks, $1.4 million for Brown’s comments. I surf. Or, I have surfed. 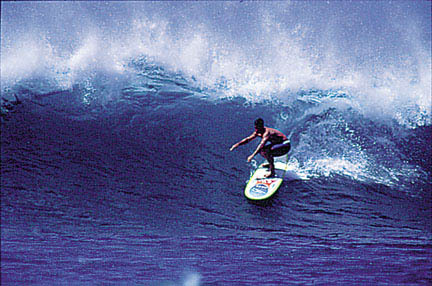 That is, I can balance, most of the time, atop a board while a wave sends me toward shore. Californians really do surf. Many people here have a board or two sitting in the garage, and while most aren\’t privileged enough to paddle out every morning, it\’s not too hard to make it to the beach at least a couple of times every summer. If you\’re a student at Point Loma Nazarene University like I am — especially if you\’re a boy down in Young Hall, literally just hundreds of feet from beach access — the waves can be hard to resist. I hate to say it, but catching one really is like being on top of the world. Paddling out is the hardest part. After wrapping the Velcro strap around your ankle, you grab the board and start wading into the water. When you\’re about waist-high, you wriggle onto your belly, stretch your legs out flat, and begin paddling. The waves that looked disappointingly small from shore suddenly tower over your head, but you have to brace yourself and press through them. Salty foam in your nose is part of the experience. The sets of waves seem never-ending; just when you\’ve crested one, another spills over right behind it. But if you paddle long enough, and if you\’re not caught in a rip current or out on a particularly brutal day, eventually you\’ll find yourself out past the breakers. At this point you can position yourself, straddling the board, and sit upright. The water swells gently here, allowing you to float effortlessly. Even if you never catch anything, you at least have the pleasure of looking like a surfer to the people strolling out along the pier or sitting on the shore. Most of surfing, after all, is just waiting for the right wave. If you\’re on a longboard, you\’ll be able to ride almost anything that comes in. Longboards are large and buoyant; the bigger the board, the easier it is to ride. Smaller boards make for faster, slicing rides, but only if you can catch a wave first. After you\’ve spotted a decent wave, you turn your board so that you face the shore. Throwing glances over your shoulder to time yourself, you lie down once again, and resume paddling. By creating momentum, you will be able to move into the wave, allowing it to propel you. As soon as the wave rises behind you, you pop up, positioning your favored front leg forward and leaning back slightly, crouching to maintain your balance. And if you\’ve done it right, you\’re up. The surface is like permeable glass, solid and yet completely formless. You glide easily on a wave constant and somehow constantly changing. Who would have thought you could go so fast powered by nothing more than water? The beach stretches long and bright before you, the sky sunny and domed above, the sandy floor distantly visible below you in the watery green-blue depths. And that\’s just longboard riding. Shooting through a barrel on a shortboard is another story, one I\’m not quite experienced enough to tell. But, as I think most surfers would tell you, that\’s not really what surfing is about. Surfing is the horizon. Surfing is the simple elements of air and water, sky and sea. It is complete immersion in endless pulsing life, tidal rhythm and ocean breath, salt and sand and sun. Drifting with the currents, subject to the subtle indictment of that sharp limitless line, you begin to understand how insignificant we really are. In the spirit of Proverbs 10:19, our newest regular feature will be a series of posts of 100 words — or fewer. Comments under ten words! and I’d be whole again. could ever pass for faith with God. It\’s summer again, and that means everyone is playing outside, going on vacation and lying on the beach! Which is why a summer reading list is ludicrous, but I\’m suggesting some good books and authors anyway. The asterisk indicates young adult books, but I\’d recommend them for adults, too. It snowed on Friday. In New Mexico. In May. When I saw it, I laughed, the kind of laugh that only forms when the irony of life triumphs. And all day I kept thinking of “The Day After Tomorrow.” I don\’t know about global warming and all that, but I do know some pretty old people with some very long memories at the restaurant where I work, and none of them remember snow in May. I\’m not saying there\’s going to be some catastrophic planet-wide climactic shift or anything. Nothing like that. It just freaked me out. That\’s all. Super-bright yellow. You might think it’s cheery at first, but wait until the second week. It’ll sap your will to live. Camo, because then you might not be able to find it again. Black, because it gets too hot. Also, it’s emo. Black. Any other ridiculous color will at least make you look like the happy sort of crazy. Pink. Easy to mar with dark and light stains alike, and hard on the neighbors’ eyes. Next time: What is the most annoying song? My Orioles have failed me again. Against seemingly insurmountable odds, the Baltimore Orioles have risen from the smoky ruins of this past winter, where they traded off their stars and paired down their lineup, to present themselves as contenders against some of the league’s best teams and arms. This has included, up till this week’s series, the highest-paid team in baseball history — the New York Yankees. So yes, they’ve failed me this week, but they’ve done so reeking of determination… and with the stench of class. So it’s true: I guess the O’s just stink.